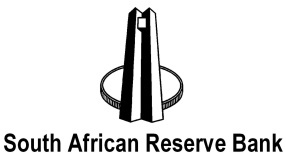 The South African Reserve Bank (the Bank), as part of addressing the severe shortage of skills in South Africa, provides bursaries to students in relevant fields of study who are from disadvantaged backgrounds. The purpose of the bursary scheme is to assist financially needy students who obtain good results in Matric / Grade 12 and who want to study in fields relevant to the Bank. The bursary is intended for undergraduate studies at a South African university on a full-time basis. Matric results if completed before current year. An essay of 250 words to motivate your case. The Bank will have first right of refusal with regard to funded students, that is, bursary holders will be obliged to work for the Bank for a period equal to their bursary period, unless the Bank chooses not to employ them. Students who choose not to work for the Bank despite the Bank offering them a position after completing their studies will be required to pay the full cost of the bursary back to the Bank. The Bank will provide students who are Bank bursary holder’s vacation work opportunities that are funded by the Bank. NB: Bursary holders will be required to submit their examination results before 31 December of each year, regardless of whether or not they will be awarded a bursary for the following year.